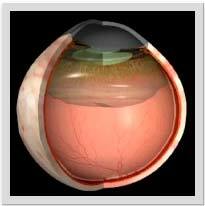 To present a new idea of macular hole closure with the use of inverted ILM flap as a base membrane to improve the results in large, long-lasting macular hole. 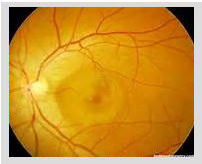 To evaluate postoperative results after vitrectomy in lamellar macular hole. 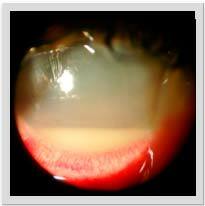 Additionally to determine factors influencing postoperative outcome after vitrectomy for lamellar macular holes. 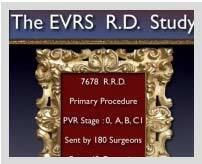 During pars plana vitrectomy after the usual ILM peeling up to the margins of the macular hole, peripheral parts of the ILM are cut off and the remaining ILM is inverted on the surface of the macular hole. 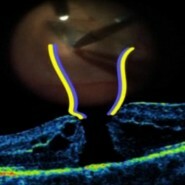 Improved macular hole closure is presented. 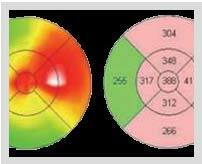 Spectral OCT case reports show that retinal tissue is spreading into the center of the hole in different cases as with drusen, posttraumatic, long-standing, reoperation and iatrogenic macular hole tear. 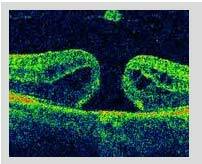 The Inverted ILM technique improves the results and presents a new way of treating retinal diseases.